Wishing you a very healthy and happy 2013! Happy new year! What a clever way to use the memory box die. Love it! Wishing you & your family and very happy and prosperous craft filled new year. Amazing how you used that die! Happy new year to you, too! This is gorgeous! 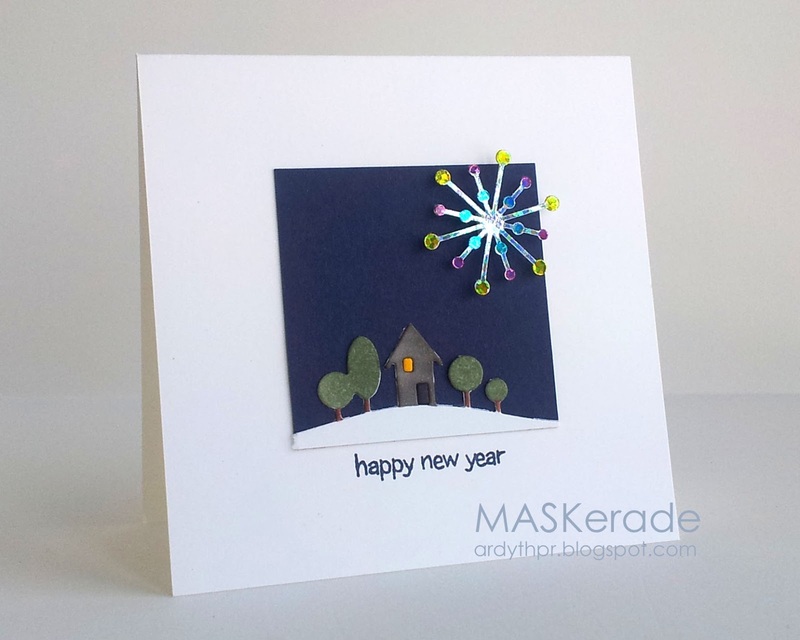 Happy New Year Ardyth! How "you" to finish the year with a stained-glass effect on your stunning card!! Happy New Year to you, Ardy, and to your whole family!! Fun card! Love the effect of colouring the die cut. Happy New Year to you, too! Oooh, love how you've used such a small section of that die!! Leave it to you to come up with a new way to use one of the most popular dies out there! The copics look fabulous on the holograph paper! Love the copic colored fireworks. Cute card!